Quality fan-made missions from the Thief modding community. Are you feeling forlorn for the halcyon days of the Thief series? You may already be aware of The Dark Mod. 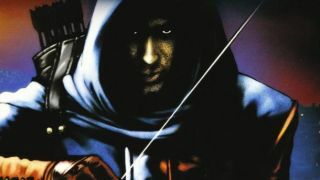 It’s a fan-made standalone mod that recreates Thief, but isn’t set in the specific universe. With it, fans can create levels for others to enjoy. Having been out in the wild for years now, it’s amassed a huge library of missions. If you’re new to The Dark Mod, I’m here to help you find the best the game has to offer. And if you’re a veteran taffer, I’ve picked out some of my favourite new missions as well. Fair warning to those eager to jump in, though, The Dark Mod can be a bit rough around the edges, with cringeworthy narration and more than a few bugs to interrupt your plans. It’s also worth downloading the tutorial mission. Whether you’re new to Thief or not, The Dark Mod does a lot of things in its own way, especially with regards to controls. If you’re able to get on board with that, you’re in for a good time. Let’s start with The Tears of St Lucia by Springheel and jdude, which is still one of the mod’s most elegant creations. You’re tasked with infiltrating a slum’s well-guarded church to steal everything you can, but the robbery is just a cover. Your real task is to vandalise a local statue that’s been proclaimed as a miracle. A bit of theft and vandalism is all in a good night’s work. It’s quite simple but is nonetheless full of secret entrances, patrolling guards and a few hidden treasures. St Lucia may be among the more conventional missions available, but it works as a great showcase for what The Dark Mod can do. Whilst I found Tears of St Lucia a bit straightforward, A Score to Settle (also by Springheel) is far larger and more complex. This sprawling level encompasses intertwining streets, tunnels and hideouts, with an objective to embarrass a notorious gang leader (you can’t say these fans aren’t inventive with their objectives). I was impressed with just how much of the map you can traverse, climbing over fences and ledges, which is handy not just for reaching goals, but for getting away from a pesky guard in pursuit. And once you’ve wrapped up all your objectives, you need to make a daring getaway across town. A perfect night out. You need to navigate this labyrinth without any map or clues. With plenty of guards around every corner, the odds feel decisively stacked against you. If you want to see The Dark Mod really flex its muscles, then look no further than Full Moon Fever by Spoonman. This is a classic, enticing Thief-style mission. A sprawling manor to rob, with the untimely death of its lord serving as a mystery at the heart of it all. The wonderful thing about the mission is how it starts out offering an elaborate mansion full of guards to navigate and overcome, but then you find out that’s not even half of what it has to show. Investigating the murder of the lord leads to the level flipping on its head, going from a classic robbery mission to a full on horror show. And there’s more! I almost burst out laughing as it just kept going and going, offering yet another exciting area or twist. It’s a true pleasure to play through, thanks to a fairly deft hand for environmental storytelling. From the same creator comes another stellar mission, King of the Mountain. This one is much more straightforward: you’re a prisoner looking to escape a notorious prison. Simple. Of course, you have to do so without any equipment whatsoever, and you need to navigate this labyrinth without any map or clues. With plenty of guards around every corner, the odds feel decisively stacked against you, so prevailing feels all the more satisfying. Yet what lingers with me – as with Spoonman’s previous map—is the ability to tell a story through the sights you find around the level. A makeshift boxing ring in one corner of the prison tells you all you need to know about the kind of place that you’re escaping. Speaking of such details, let me introduce Down by the Riverside by Dragofer, a fun and atmospheric mission that opens with you hidden aboard a boat to reach a remote and supposedly haunted mansion. This one’s a doozy, packed full of surprising turns as it tells the tale of a troubled family. It can also be unbearably tense at times—the manor’s creepy atmosphere is almost suffocating as you try to avoid looters and worry about what’s actually in the basement. If this mission owes a debt to anything from Thief, it’s Robbing the Cradle from Deadly Shadows. Being able to remind me of that horror classic speaks to this fan creation’s quality. Last but by no means least is Briarwood Manor by Chris ‘Neonstyle’ Kilgariff. This is a lavishly presented mission, that even comes with its own introductory FMV cutscene. It all takes place in a manor shrouded in fog, with a complex interior that oozes atmosphere. I found the whole place a little unhinged, with its flickering lanterns, upset horses and the steward, who finds the place cold and unwelcoming despite having stayed there for months. There’s more to it than just the presentation, though. With no map, no blackjack and limited water arrows, this is a real test of your skills. I found myself holding my breath on more than one occasion. All in all, it’s one of the finest missions The Dark Mod has to offer. These are some of my favourite single missions, but there’s plenty more available—from short, quick robberies, to multimission stories like the William Steele trilogy. And, if the community is anything to go by, there’ll be plenty more classics for years to come. For more Dark Mod missions check out the missions section of the Dark Mod site.